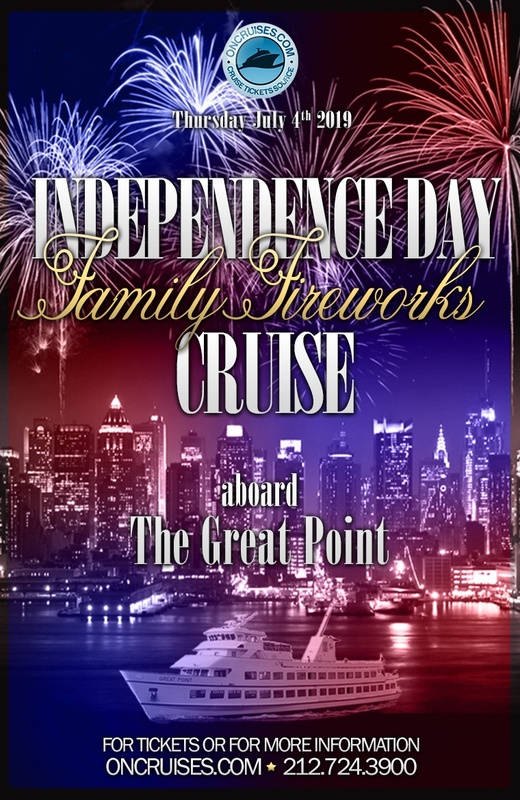 The Great Point is a beautiful and multileveled ship that’s spacious enough for you to party your July 4th away on the seas. Take a sail on this NYC July 4th cruise and catch views of the city skyline like you’ve never experienced. Sail and view all of the city’s iconic landmarks such as the Empire State Building, the Brooklyn Bridge, the Freedom Tower, and of course the beautiful Manhattan skyline.